NO! I don’t have incomplete combustion! I was disappointed; I thought that all the time spent was wasted. was refitted to my stove, it did look somewhat cleaner, so all was not lost. stove – What a transformation! – The result was amazing! – The glass seems to have a “non-stick” surface and I it has stayed clean for over a week! Hi. Interesting post. 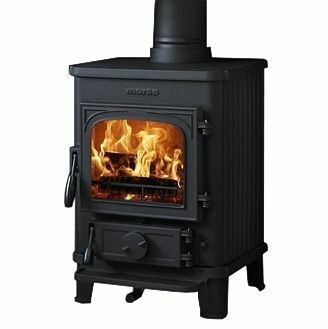 I don’t live aboard (yet) but have a multifuel stove at home. I use smokeless coal nuts and occasionally wood. I noticed it has the same ‘crazed’ pattern on the glass door which can only be seen at certain angles in certain light conditions. Interestingly any stove user manual I have read warns against using abrasives on the door glass – I understand they can weaken it and potentially make it liable to shatter. For that reason I’ve always cleaned mine with standard household surface cleaner which works fine. Unlike your approach my glass doesn’t stay completely clean but on the other hand rarely gets really dirty. Hello There We are not net living on a boat but like the previous person have had and still have a Woodburner and find that vinegar and newspaper gets the glass really clean. You have to open the door and let the glass cool down a bit before doing this. 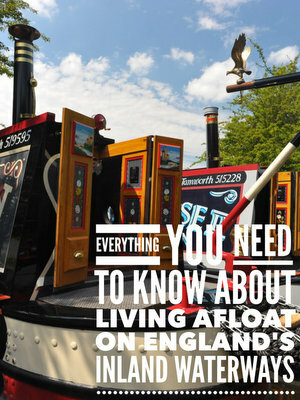 Love this site and can’t wait till we can join you all on the canals. We also have two oldish dogs so will be interested in how people find their fun loving fur children onboard their boats. We use this”old fashioned” method at home and on the boat to clean sooty stove glass: scrunch up some newspaper, dampen it slightly, and dip it into cold wood ash before using it to rub the glass . This leaves a smeary mess on the glass, but then simply use a scrunched up piece of dry newspaper to buff the stove glass to a bright,clear finish. Not a long term solution, but a “quick-fire” simple daily cleaning task. Yep, I use the woodash method at home and on the boat – I use kitchen paper with a squirt of fairy liquid on it then dip it in the ash and polish away – you might need to do it a couple of times if the soot is well ingrained but it is cheap – well I am a Yorkshire lass and anything that saves”brass” is always welcome. this worked because you had scratched the glass with the use of billo pads so soot/ tar can get a hold the fast cut has polished the glass.